The Elegant page-turning slideshow is a template made in after effects cs3 and compatible with all after effects releases. The concept of the slideshow is to show your photos with elegant transitions and relevant texts. A modern and smooth solution for you presentations. The project has been optimized to make your customization job easy. 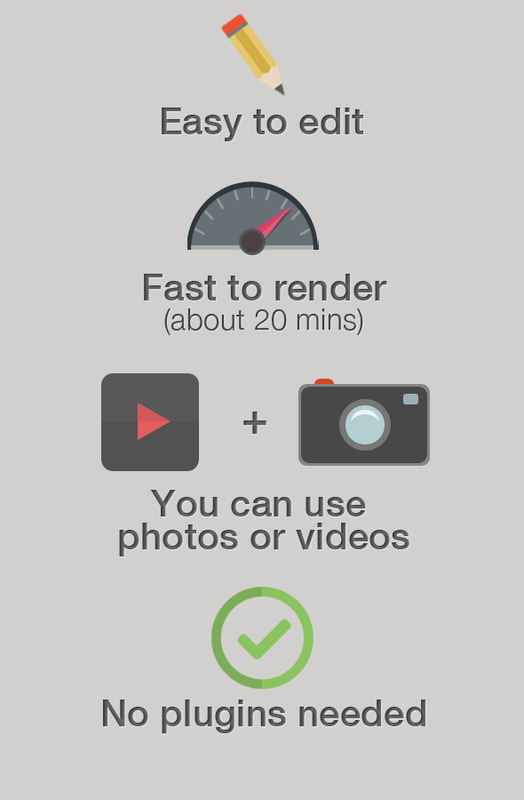 You just need to import your photos and videos and replace the texts. Ok, all done!